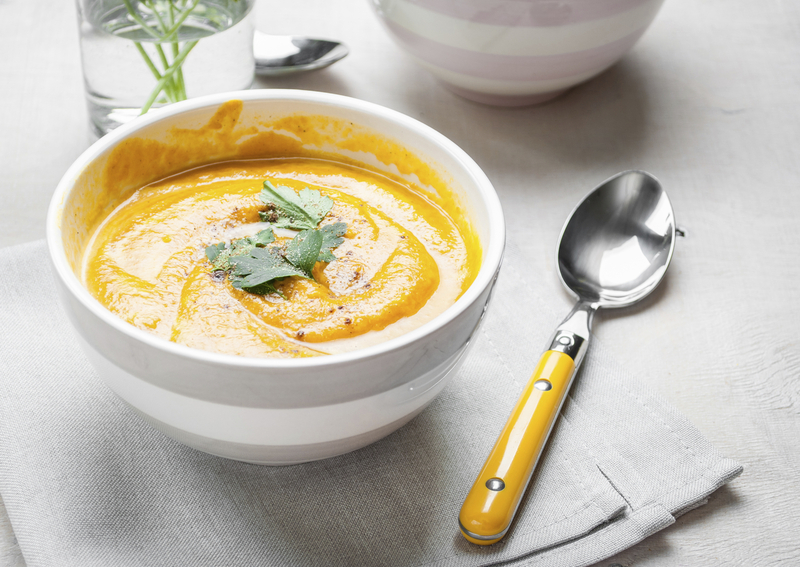 A delicious variation of the classic pumpkin soup - perfect for freezing! This is a tasty variation of a classic. You can also make it with sweet potato. Simply replace the potato and carrot with 4 sweet potatoes and add a little brown sugar to the pan as they are sautéing. 1. Heat oil in a large saucepan on high. Saute the onion, bacon, garlic and curry powder for 2-3 minutes until the onion has softened. 2. Add the pumpkin, carrot, potato and lentils to the pan and cook, stirring, for 1 minute. Pour on the water or stock and bring to the boil. 3. Lower the heat and simmer, covered, for 25–30 minutes until the vegetables are very tender. 4. Puree the mixture using a hand blender or food processor. Stir in the milk. Recipe provided by nutritionist Catherine Saxelby's Foodwatch.